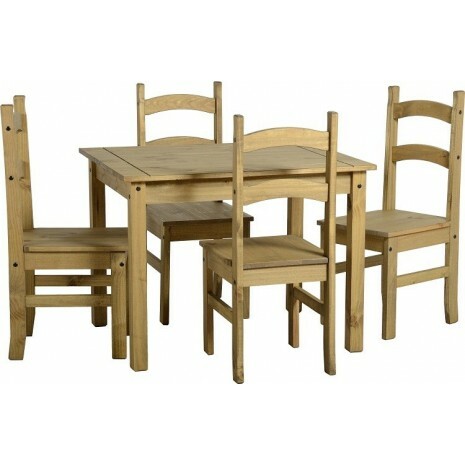 Finished in distressed wax pine the Farmhouse dining set has a warm, natural appearance. 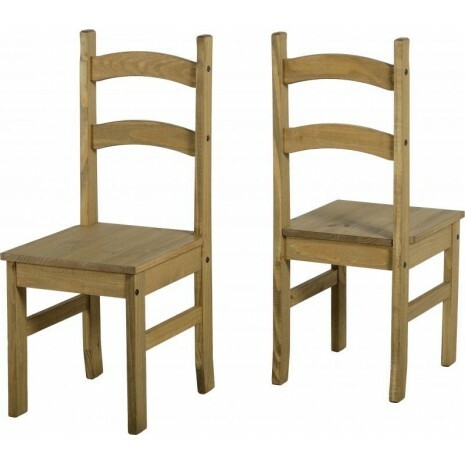 With a simple, traditional styling this set has great versatility fitting beautifully in to a variety of kitchen or dining room decors. Finished in pine the Farmhouse dining set has a warm, natural appearance. With a simple, traditional styling this set has great versatility fitting beautifully in to a variety of kitchen or dining room decors. Solid shapes and touches of black metal hardware enhance the look and feel of quality.